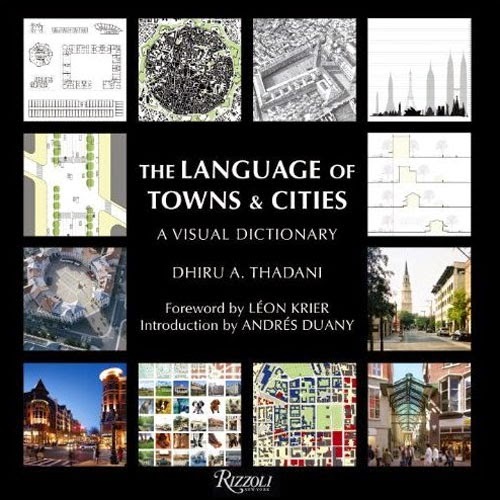 A quick glance at the cover of Dhiru A. Thadani's massive "encyclodictionary" -- as Léon Krier calls it in his foreword -- is quite revealing: The roughly 800 pages inside deal with traditional aspects of towns and cities, the streets and streetscapes, the civic squares, the pedestrian zones. 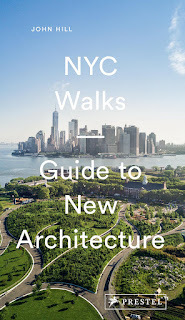 It addresses these via traditional means, the solid-void diagrams, aerials, street sections, and plans that architects and urban designers are familiar with. In other words what follows is a sourcebook for New Urbanism, a resource for designing traditional towns based on CNU's principles. Yet these are only twelve images among hundreds, so maybe a book can't be judged by its cover after all. Thadani, who penned the majority of the entries but enlisted numerous contributors in this large undertaking, has created a book that is personal, even though calling it a dictionary may infer objectivity. For example, his experience with upper educational institutions comes across in the large number of pages devoted to campuses (10) and college towns (10), not to mention coverage of cities in India (Dharavi, Mumbai, New Dehli), where he is from. On the other hand the term "design" fits half a page, with a quote by Bruce Mau and a photo of floods in Mumbai. And Washington, DC is the only US city represented (where is Chicago? New York? San Francisco? ); the latter just reinforces the personal nature of the book, since Thadani works in DC. Even though a number of NU projects are included as entries (Seaside, Poundbury, Kentlands), the overall feel of the book is that Thadani presents what he has experienced in places that have evolved over time, places that offer lessons for designers and others interested in shaping towns and cities. It is a visual feast that certainly looks to the past for inspiration and emulation, but every now and then Thadani pulls out a modernist building to show how good urbanism embraces varying styles and ages. As Norman Weinstein rightly points out Thadani does not follow the party lines of other NU cohorts (some that contribute to the book), instead presenting and therefore accepting the messiness of urban life alongside the sanitized NU developments. The encyclodictionary entries can be lumped into a handful of broad categories: abstractions, concerns, elements, people, places, all tools for designers and clients. It is the mix of these categories that makes the book more than just a reiteration of NU principles. The book certainly embraces them, but they are found alongside entries that confuse such a one-sided reading. 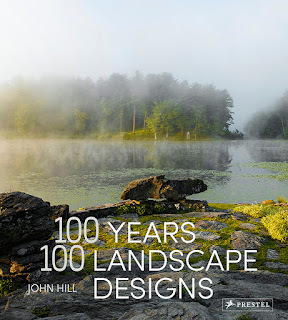 Like the towns and cities that are its subject, the book is varied; not quite messy but a very good attempt at finding and presenting some of the best urban influences today.